Pig ears are the treats of choice for many dogs who love the combination of texture and flavor that they provide with every bite. These coveted treats are chew worthy and offer your pooch the chance to put his teeth and gums to good use. However, not all pig ears were created equal and sometimes, the ones that you come across while shopping for doggie treats can have a high fat content and are made with processed ingredients that can be harmful to your pooch. To help you choose the best pig ears for your beloved pet, we have compiled a list of the top ten pig ears available on the market today. 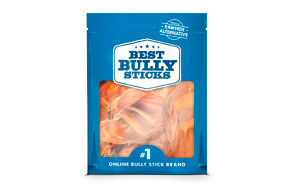 The grain-free pig ears from Best Bully Sticks take doggie treats to a whole new level. Their whole pig ears are served whole and are slow cooked to preserve their flavor. They are also rich in protein and free from any additives or preservatives, making them safe to consume. This premium treat is baked in the oven and provides your pooch with the perfect chewable reward during his training. Best Bully Sticks pig ears are also a great alternative to processed rawhide that can be hazardous to some dogs. Moreover, their thickness and density makes them easy to chew especially if you have a senior dog or delicate chewer in your household. The Sawmill Creek Smokehouse pig ears are premium treats that offer your pooch more than just a scrumptious snack to chew on. These full-sized ears are made without any harmful chemicals and additives and are slow cooked for two days to preserve their delectable flavor and texture. Each packet contains 25 jumbo ears that are suitable for moderate to aggressive chewers who will benefit from this treat and its contributions towards healthy teeth and gums. The Sawmill Creek pig ears are sourced and made in the United States and are approved by the United States Department of Agriculture (USDA). The pig ear dog chews from 123 Treats provide a healthy chewing option for dogs who are prone to turning your furniture and belongings into their favorite chew toy. Fortunately, you can easily curb this destructive habit by introducing him to these highly chewable pig ears that will encourage your pooch to leave your beloved shoe behind and release all of his gnawing powers on these roasted treats. You can feed your dog these chew ears on a daily basis to keep him stimulated and relaxed. Chewing on these all natural ears helps reduce the build up of plaque in the teeth and keeps the gums healthy as well. Eating a nutritious treat also contributes to a healthy skin and coat. Training is made easy with a little help from these tasty treats. Moreover, they are suitable for both puppies and senior dogs no matter their size and age. The 123 pig ear chews are sourced from Brazil and remain fresh and edible for up to one year depending on their storage. Brutus Barnaby pig ear slivers are delicious strips of thick pig ears that are all-natural and easy to digest. 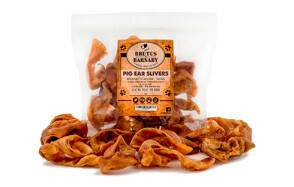 Safe and healthy treats give you that peace of mind that comes from knowing that those pig ears are free from any processed ingredients that can harm your pet in the long run. Zero bones also means that your pooch can enjoy his treat without the fear of accidentally swallowing or choking on his scrumptious snack. Chewing on these strips leaves your dog’s breath smelling fresh and allows him to release his pent up energy on his treat rather than on the legs of your brand new chair or table. Brutus and Barnaby are responsible for the cooking and distribution of their products and they guarantee the quality of their strips by inspecting them before they are packed in zip lock bags to preserve their freshness. Bigger is always better when it comes to wholesome doggie treats and the HDP large roasted pig ears are no exception. Not only are they an excellent source of protein for your pooch, but they also help keep his teeth clean and his breath smelling fresh. These Happy Dog Place treats are available in four different packets with the largest containing one hundred quality whole pig ears. Top Dog Chews pig ears are another great treat worthy of your pooch. No artificial colors or flavors were used in making them, so you can feed them to your pooch as a playtime treat or whenever he follows your instructions during his training. Having a fun and scrumptious treat to look forward to each day will raise his spirits and give him a boost of chondroitin which is a natural substance that is beneficial for his joints. 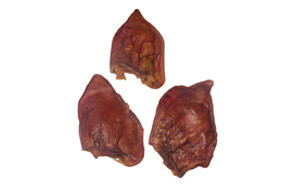 Moreover, these pig ears are baked to perfection and are a great alternative to rawhide as well. The smoked pig ears from Punk Hollow are also a quality product that was made with your pooch’s safety in mind. Therefore, no additives or preservatives were used during the smoking process. These natural smoked treats are made in a USDA facility and are packed and shipped with their own unique product code in addition to the trademark Punk Hollow Country Kennel label. American Farms produce scrumptious pig ears that are sourced from locally raised pork and are handpicked to deliver premium treats for your pooch. Their pig ears are cooked to perfection using natural hardwood to help squeeze the most out of their mouthwatering flavor. Their smooth texture makes them easy to digest and highly chewable. They are also a natural source for protein and chondroitin. You can feed your pooch these delectable smoked treats every day by following the feeding guidelines that are found on the back of each plastic zip lock bag. Small dogs are allowed one treat per day while medium dogs can be rewarded with two treats. If your pooch weighs somewhere between 50 and 100 lbs, then you can feed him three pig ears every day. American Farms also take your dog’s safety seriously, so their pig ears are free from artificial ingredients and colorings. They are also made without preservatives and are smoked using real hickory wood. Pet parents who are interested to know more about pig ears will find more information on the subject in our guide below, including the most frequently asked questions regarding this doggie treat. Whenever you go shopping for new treats for your pooch, make sure that you are actually buying authentic pig ears and not pig hide disguised as ears. Some products are labeled as smoked ears when in fact they are completely different body parts that were cut into the shape of an ear. These fake ears are still considered part of this animal’s anatomy but the fat content and overall composition are not the same. Pig ears have a different protein content and this is what makes them ideal doggie treats. Keep in mind that not all pig ears are sold as full sized , uncut treats. Some of them are available in the form of strips and those are made of real pig ears as well. Whenever you go grocery shopping, you will notice new products with attractive packaging and dog treats with clever names and cute puppies printed on the front. The market is filled with delicious looking snacks and chewable treats that you might be tempted to buy for your pooch. Sometimes, the list of ingredients on the back of the package is long and filled with complicate terms that are hard to understand. Therefore, you need to be careful when it comes to buying dog food, especially treats that may contain additives and preservatives that are far from healthy for your pooch. Artificial flavors are one more thing you need to worry about. There is a big difference between a smoky flavor and pig ears that were oven baked or smoked to give them a natural hickory smoked taste. If you come across pig ears that are artificially flavored, then choose a trusted brand that oven bakes or uses natural wood to naturally smoke their treats. Pig ears are tasty treats that come in different sizes to meet the needs of different dog breeds. Small pig ears are better suited for puppies and delicate chewers who will find them easier to chew and faster to digest than big ones. Larger breeds can handle bigger ears that they can happily chew on until you are free to take them out for a walk. Thick cut ears will keep them busy and focused on their treats and this is the kind of distraction you need to prevent your puppy from chewing on your furniture or clothes. We all want what is best for our dogs and that is why we do our best to supply them with the cream of the crop when it comes to pet supplies, food and pig ear dog treats. 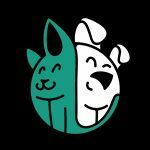 Choosing the best products for our pets involves reading the label and making sure that the product was tested and approved by local organizations that care about the wellbeing of consumers, including pets. Therefore, the next time you shop for doggie treats, keep an eye out for pig ears that are approved by the Food and Drug Administration (FDA) as well as the United States Department of Agriculture (USDA). Moderation is key when it comes to treats with high fat content such as pig ears. Fat is what makes them irresistible to dogs who have no problem wolfing down a dozen treats if given the chance. If your adult pooch weighs around 30 pounds, he will need around 25 grams of protein and 14 grams of fat in order to maintain a healthy weight. Therefore, you need to read the nutrition facts written on the back of his favorite pig ears and adjust the number of his treats accordingly. Knowing what kind of chewer your dog is also matters when feeding him these scrumptious treats. Aggressive chewers need to be supervised so they do not end up with digestive problems due to their eating habits. Buying large pig ears can come in handy in this kind of scenario because your pooch will find them too large to devour. In summary, feeding your dog pig ears can be good for him if you follow the feeding guidelines and supervise his chewing session. Pork is considered to be softer than rawhide and this makes it easier on the teeth and gums. This lowers the risk of broken teeth and choking hazards. Feeding your pooch pig ears also helps with his oral hygiene and the simple act of chewing on one of these treats helps remove tartar and plague as well. However, their fat content makes them less than ideal for overweight dogs who could use less calories in their diet and low fat treats that will prevent them from packing on the pounds in the long run. Dogs prone to pancreatitis are also better off eating other treats. Before you feed your pooch his pig ears, you need to make sure that he can handle the high fat content linked to these treats. Dogs with sensitive stomachs can end up with loose stools if they were fed too much treats, which is why moderation plays an important role here. Hygiene-wise, the best pig ears for dogs are the ones made using natural processes and products. They are also inspected for safety and quality by reputable organizations. However, just to be on the safe side and to avoid the risk of salmonella poisoning, pet owners are advised to wash their hands with copious amounts of soap and warm water after handling pig ears or any meat based treats. Treats made out of rawhide are completely different than pig ears and they consist of the inner layer of cow hides that is cleaned and cut into smaller pieces. The treat-making process involves shaping them into a chewable form that is available in a wide array of shapes and sizes to meet the needs of different dog breeds. Rawhide is usually infused with beef, chicken or liver flavors to make it more enticing for dogs. Rawhide bones help dogs chew their way out of anxiety and boredom and offer an alternative to your shoes and furniture, especially if you have a teething puppy on your hands. Chewing on these treats also contributes to clean teeth and fresh breath. However, there are several risks linked to these rawhide treats including choking, digestive problems and contamination. Rawhide bones and hard body parts such as pig hooves for dogs can break teeth and cause intestinal blockage if your pooch swallows them by accident. Sometimes, this blockage can be easily treated with a visit to the vet if the piece itself was small in size and easy to remove via the throat. Unfortunately, large pieces often need emergency stomach surgery and can lead to loss of life if left untreated. Certain toxic substances are used in the manufacturing of rawhide since it undergoes bleaching and other chemical treatments. This can trigger allergic reactions in dogs who will not tolerate the presence of such unhealthy ingredients in their treats. Diarrhea may also occur as a result and this can open the door to other digestive problems as well. Contamination is also possible if someone comes into contact with rawhide treats that were not inspected for quality and safety beforehand. Q: What is a pig ear? A: Treats come in different shapes, sizes and flavors, and ears are simply another part of a pigs anatomy that are processed and turned into yummy treats for dogs. These pig ear dog treats should be free from any colorings, preservatives and additives, and most importantly, they must be one hundred percent pure swine ears and not a fake ear made out of vegetables. Buying from reputable manufacturers like the ones listed above will save you from purchasing badly processed treats. Pig ears are roasted or oven baked to turn them into dry and moisture free treats ready for packing. Both baking and roasting contribute to the fat melting process that is used to lower the fat content of these naturally high fat treats. A: Yes. Pig ears are considered safe treats for puppies to consume. Once again, moderation is key when it comes to feeding your young pooch such high fat treats. Their soft, chewable texture makes them the best alternative to rawhide. However, keep an eye on your dog if he happens to be an overly enthusiastic or aggressive chewer. Serving him pig ears for puppies means that you have to supervise him during his chewing time to prevent any small pieces from blocking his throat. Unlike adult dogs, puppies also have developing teeth and gums so it is better to give them small strips to chew on until they grow older and become ready to bite into larger ears. Q: How many pig ears should I feed my puppy? A: Follow the feeding guidelines written on the back of the package and remember to factor in his weight and size. This way you will be able to determine the number of pig ears you can feed him per week. Generally speaking, dogs who weigh somewhere between 10 and 20 lbs are allowed one pig ear per day only. Quality, flavor and safe ingredients are three things that make Best Bully Sticks experts at making premium, all natural chews that are worthy of dogs everywhere. Their whole pig ears are not subjected to any chemicals or additives during their processing. They are also easy to digest and are baked in the oven in order to preserve their tasty pork flavor. You can offer your pooch a delectable pig ear as a reward during his training or whenever you feel like he deserves a wholesome treat. Whole pig ears also double as dental chews that help rid his teeth of plague and tartar. Moreover, they are suitable for all life stages and are hand inspected to guarantee that they free from any hormones or antibiotics. There is nothing more joyful than watching your healthy pooch chew on safe, premium treats and this is exactly what is on offer thanks to Best Bully Sticks and their drool worthy pig ears.